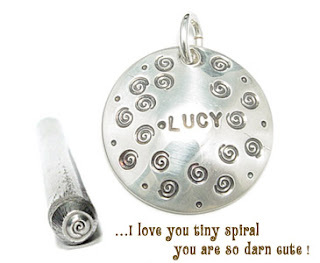 Have ya seen our new Tiny Spiral design stamp. It is the cutest thing ever. It's about 2.5 mm at it's widest spot. Can you ever have too many spirals? We think not! I am loving this new blog!! !